The new Wescott Park in Northbrook was formally opened Tuesday with a beautifully maintained ball field, bike path, landscaping and nearly 70 new trees and 50 shrubs, but it's the upgrades below the surface that will really improve the park and surrounding community. The Village of Northbrook, the Metropolitan Water Reclamation District of Greater Chicago (MWRD) and Northbrook Park District officials announced the completion of the Wescott Park Stormwater Storage Facility with a ribbon cutting ceremony at the southwest corner of Farnsworth Lane and Western Avenue in Northbrook. Designed to alleviate flooding for the community, the $9.65 million Wescott Park Stormwater Facility will improve park grounds while also shielding homes in the Sunset Fields subdivision in Northbrook from future stormwater and flooding issues. "One of my first priorities upon being elected village president was to improve the conditions of those who were affected by flooding in Northbrook. This project has truly advanced that goal. 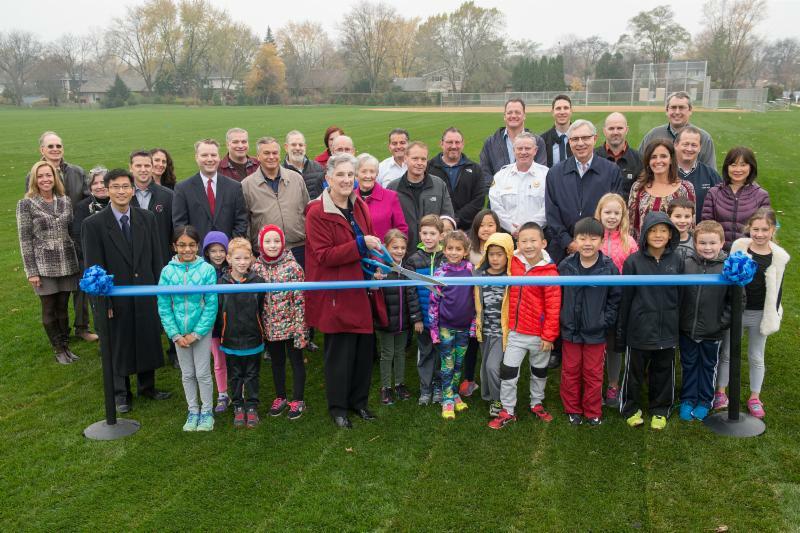 It has been a pleasure to work with MWRD, the Northbrook Park District and School District 30, from inception to completion," said Northbrook Village President Sandy Frum. "The Wescott Park Stormwater Facility is a prime example of what can be accomplished when governmental agencies work together for the benefit of a community. Northbrook is in a better place because this detention facility has been built. I look forward to a drier tomorrow." This new Wescott Park Stormwater Facility will provide 7.5 million gallons of much needed storage capacity, equivalent to more than 11 Olympic-sized swimming pools. The project consists of a new storm sewer along Farnsworth to supplement the existing sewer, as well as construction of a stormwater chamber underneath the north half of the park. 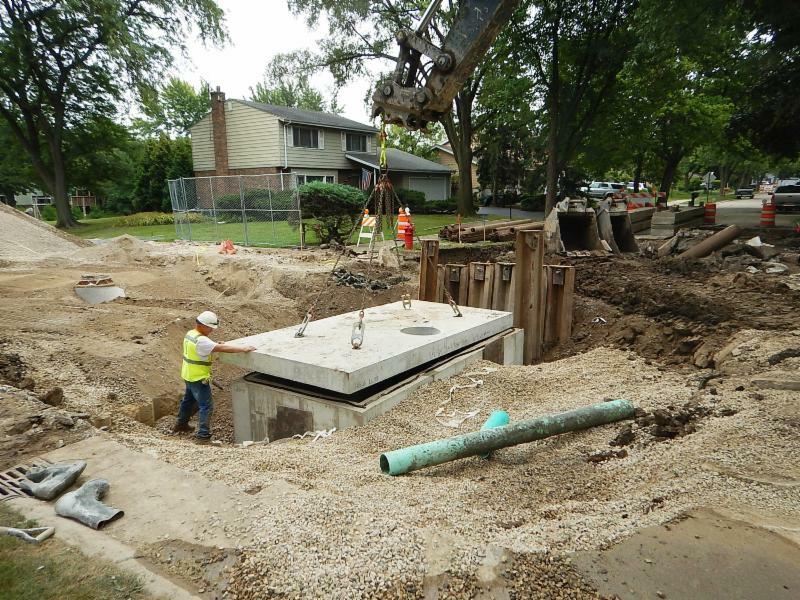 Along with the associated storm sewer improvement, the project will help reduce the frequency and severity of flooding which currently impacts up to 36 single-family residences in the neighborhood in a 25-year storm event. This project also features an electronically controlled rain harvesting system that will reuse the temporarily stored stormwater for irrigation. MWRD is funding this stormwater reuse component at the cost of $475,000. "This project is a major victory for Northbrook. Not only can they better improve their quality of life in building protection from flooding, but they are also recovering and conserving vital water resources that can be harvested and reused to maintain park grounds," said MWRD President Mariyana Spyropoulos. "We thank Northbrook and the Northbrook Park District for allowing us to partner with them on this important project that speaks to our mission of recovering resources and transforming water." The subdivision was platted in the 1950's, prior to modern-day stormwater drainage and detention requirements, where storm sewers were undersized, suitable overland flow paths were lacking and stormwater detention was not provided. 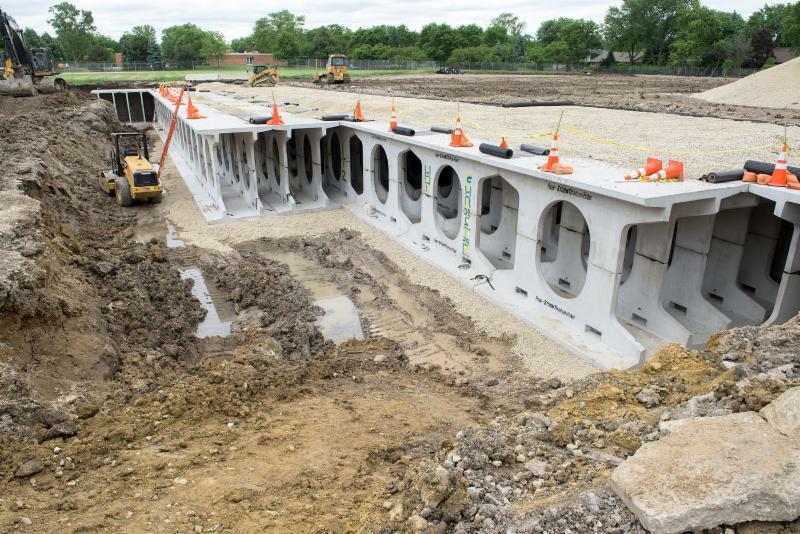 The new stormwater chamber, one of the largest of its kinds in Illinois, will enable both the village and the park district to reuse water captured during rain storms to irrigate the ballfields, new parkway trees or cleaning streets and sewers. The project will attenuate the stormwater flow to the North Branch of the Chicago River. "This project addresses the joint Sustainability Plan between the Park District and the Village that we established in 2013 and aligns with the Park District's Mission of environmental stewardship," said Michael Schyman, President, Northbrook Park District Board of Commissioners. "Projects of this scale take a lot of time, coordination, and expertise. We're proud of another successful collaboration with the Village of Northbrook and we also look forward to partnering with MWRD again." "We are happy to assist Northbrook in delivering these needed upgrades to Wescott Park and surrounding homes and streets," said MWRD Commissioner Frank Avila. "We thank the many engineers and contractors who poured their time and effort into protecting the community from future storms. We can now enjoy this beautiful park with the peace of mind that flooding concerns have been addressed." In addition to the stormwater reuse and detention components, the project includes several park improvements. The north ball field and the bike path along the west side of the park were completely reconstructed, and minor improvements were made to the landscaping around the perimeter of the park. Although several trees were removed as part of the construction to install the storage chamber, restoration of the park involved the planting of nearly 70 trees and 50 shrubs. --Over the length of the estimated 50-year service life, the project will reduce the flood damage from $25 mil to $ 11 mil (56% reduction) for 10-year storm events; and from $22 mil to $12 mil (45% reduction) for 25-year storm events. A ribbon cutting ceremony to unveil the Wescott Park Stormwater Storage Facility in Northbrook featured Northbrook Village President Sandy Frum, Northbrook Park District Board of Commissioners President Michael Schyman and Ting Pong "Jack" Chan, MWRD Assistant Civil Engineer. 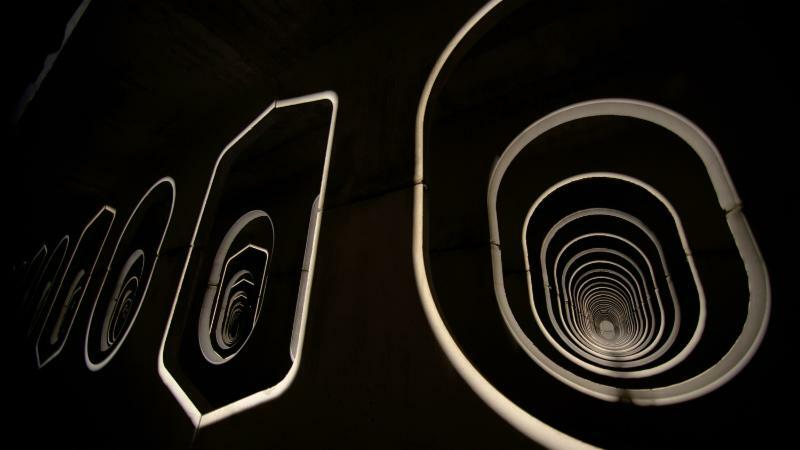 Beneath the park are modular prefabricated concrete pieces that cast an optical illusion that work to protect the community and promote water reuse. Now covered, the skeletal composition of the new stormwater storage facility under Wescott Park will be the key to keeping the community dry, while conserving water to be reused. A final stormwater structure receives its top slab below Wescott Park.